Given the icy roads and the snow we received Friday night this outing almost got cancelled, but we pulled it off, and had four intrepid souls show up that elected to embrace the day regardless of the conditions. AND the morning turned out to be a beautiful one in which we got to see a great variety of birds. 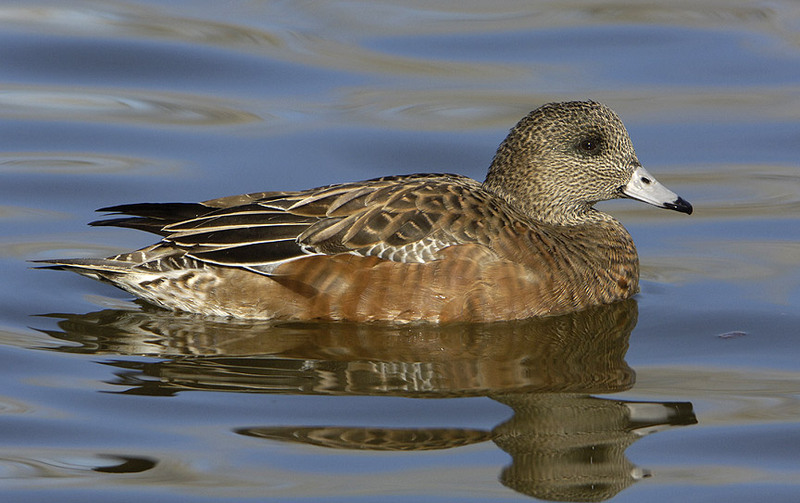 The wintering ducks are still hanging around, with migratory ones increasing the local populations. 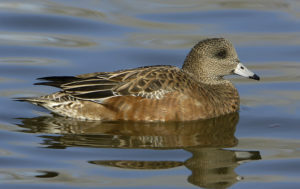 I was especially glad to see a few American Wigeon, as they have been pretty ilusive for me the last month and a half. 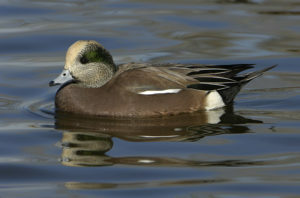 The male is remarkable for having a white (or buffy) forehead; short, light-blue bill with a dark tip; a glorious green swoosh through his eye; warm, pinkish-brown flanks; a pointed, black tail with a striking white hip-patch just in front of it; and, in flight, that have a distinctive white patch on the upper secondary coverts (this is for those of you desiring homework terminology). 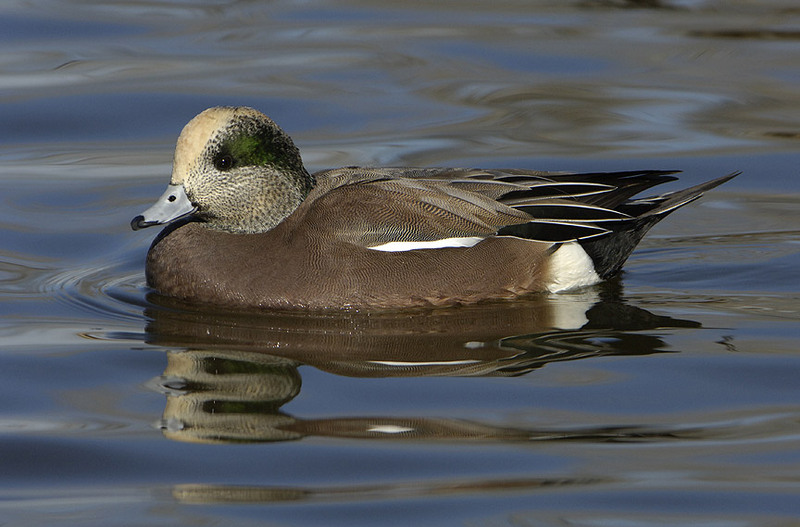 The female is also very warmly colored, has the blue bill, and is noted for her “smeared mascara” look. Finally, they have one of the more distinctive (dare I say, “cute”) calls. For those of you tracking some of the “usual suspects” at Hudson Gardens, we did, once again, see the rufous (or Intermediate) morph Red-tailed Hawk. 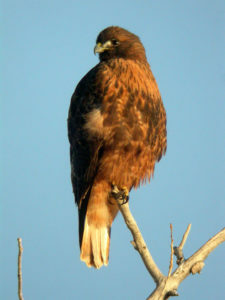 He, or she, has been a regular in the area now for a few years, and has been breeding with a light morph Red-tail. Keep your eyes open for the pair sitting on top of the powerline poles just west of the river. 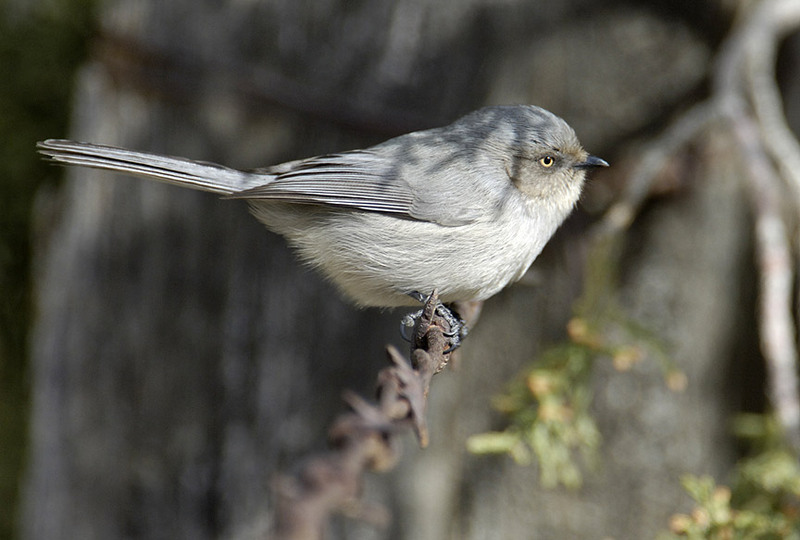 We also had a couple of small groups of Bushtits, which in my estimation have increased their wintertime presence in this part of Colorado over the last few decades (climate change?). Note that the female has a yellow eye, and the male a dark eye. 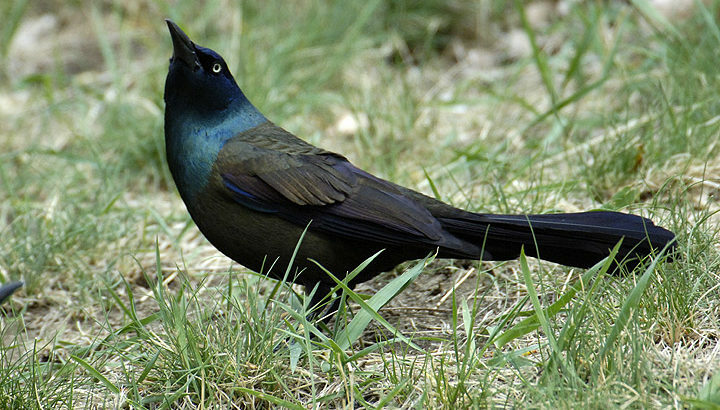 And we got to see some newly-arrived migrants, three Common Grackles. Wahoo! This is a species that has increased dramatically in Colorado over the last hundred years, apparently making their way here initially from the eastern United States due to the planting of shelter belts across the Great Plains, and then continuing to thrive in eastern Colorado with increases in urban and agricultural development.